Located on Fourth Avenue and Pine Street, Mantra Condos offers a seletion of laid-back contemporary Kitsilano homes designed with style and livability in mind in Vancouver’s Kits area. Environmentally friendly feature like geothermal heating and cooling, use of urban organic materials, and abundant outdoor spaces, give Kitsilano Mantra Vancouver homes an inviting, relaxing and ambiance. Plus you’re walking distance to Granville Island, Kits Beach, downtown, and South Granville, so you’re surrounded by some of Vancouver’ most celebrated restaurants, boutiques, theatres, galleries and specialty grocery stores. For more information, and to priority register, visit www.yourmantra.com. The latest from their email push page in October 2007. Achieving balance in your life has never been easier or more enticing. Mantra's enlightened homes unite style with function, while their inspired location centres you at the heart of the city's most sought-after neighbourhoods. Affirming, motivating and empowering, Mantra Condos is a conduit to a healthy, vibrant lifestyle - a daily reminder to relish the present and revel in all that our incredible city has to offer. Contemporary yet clasic with concrete and glass, this Mantra Condos boutique five-level building will offer 68 exceptional urban homes connected by a series of iconic glass skybridges that promise to establish Vancouver Mantra as one of the area's most recognizable landmarks. Designed to invoke a sense of calm and well-being, these urban organic 1 and 2 bedroom designer suites include functional floorplans, natural materials and large outdoor spaces. In addition, every earth-friendly home at Mantra Homes also includes geothermal heating and air conditioning to help save you money and perhaps more importantly, the environment. As an early Vancouver Mantra condominium registrant we are excited to tell you that the Mantra Presentation Centre and display suite is now under construction. In the coming weeks, a new home consultant will be in contact with you and we will continue to give you more information on these exceptional Mantra homes via email as it becomes available. One of the most important factors when purchasing a new Mantra home is ensuring you have a builder with a strong reputation for quality. At Kitsilano's Mantra, all residents will have the peace of mind that comes with knowing their builder has almost 40 years of experience in Cressey. Incorporated in 1969, Cressey initially focused on building multi-family residential communities. Since then, Cressey has expanded to build office, retail, hotel, industrial and multi-family projects throughout BC, Alberta, and Washington. During all of this time, one thing remains constant and that is Cressey's commitment to superior design and quality construction. With meticulous planning and attention to detail for the Mantra Condos in Kits starting from acquiring land straight through to key turnover and beyond, Cressey is an industry benchmark for professionalism, integrity and quality. The past few years has been especially exciting for Cressey with landmark buildings such as Elan, Donovan, Park 360, and Mandalay all in various stages of construction and all with the same Cressey commitment to superior design and quality construction. Mantra is the newest addition to the Cressey portfolio and with an inspired West 4th location, iconic glass skybridges and urban organic interiors, it promises to be yet another successful community backed by almost 40 years of building experience. Today, everyone is going green and trying to do their part to help save the planet. At Mantra Condominiums, we’re proud to help you live in comfort while also helping you save energy and money. Mantra Kits Condos in Vancouver also uses a green roof system which beyond protecting the roof’s membrane, this lush covering of plants improves air quality, provides sound insulation, and naturally shades and insulates the building which in turn helps save heating and cooling costs. Green roof systems also help to ease the burden on municipal stormwater systems as rain is absorbed by the plants rather than drained into our city pipes. With earth-friendly features like geothermal heating and cooling systems and a green roof, Mantra Residence Apartments allows you to live in comfort as you do your part to help save the planet and save money all at the same time! Thank you for your interest in Mantra by Cressey. We are pleased to announce that we will begin previewing these designer homes January 19th! Beginning this Saturday, Mantra Condos in Kitsilano will be open everyday except for Fridays from 12 noon until 5pm. Experience our brand new Presentation Centre where you can explore Mantra's architectural model, floorplans, pricing and of course, fully furnished display suite. We are located at 2060 Pine Street in Vancouver just off of West 4th Avenue. Mantra by Cressey is over 65% sold and has been overwhelmingly successful! Concrete Geothermal Homes from $544,900. Kitsilano presales Mantra Vancouver condominiums has a number of very special homes still available such as Suite 202, south facing 1 Bedroom plus Den home with extra large terrace - just like our display suite: Spacious kitchen, KitchenAid Architect Series appliances including wine fridge, Built-in entertainment niche, In-suite Storage room, Walk-in closet, Striking bathroom and more. The terrace included with this home is an expansive 509 square feet, perfect for summer BBQ's with friends and family, and therefore offers a total of 1157 square feet of living space! Suite 202 at Mantra Vancouver also comes with 1 parking stall and is currently priced at just $544,900 for pre-sales. For those of you who might have missed it, The Westender's 11th Annual, Best of the City, Readers' Choice awards were just published in the Feb 28 - March 5 Issue. West 4th Avenue was voted one of Vancouver's coolest streets and Cressey Developments one of the best Real Estate Developers. To learn more about Suite 202 or any of the homes at presales Kits real estate Mantra we encourage you to visit our presentation centre open daily (except for Fridays) from 12 noon until 5pm at 2060 Pine Street in Vancouver (just south of 4th Ave). You can also log onto our website for all of the details at pre-construction Mantra Vancouver condos including our new display suite photo gallery at www.yourmantra.com/gallery.html. Along with the expansive patios, all of the homes at Mantra come complete with extra large kitchens including KitchenAid Architect II Series appliances, wine fridge, stone countertops, recycle centre, and glass tile backsplash. Striking bathrooms, built-in entertainment niches and hardwood flooring are also included in every home. Boasting geothermal heating and cooling, Mantra allows you to live in maximum comfort while saving money and helping you do your part for the environment by reducing your carbon footprint. To learn more about the very special terrace homes at Mantra we encourage you to visit our presentation centre open daily (except for Fridays) from 12 noon until 5pm at 2060 Pine Street in Vancouver (just south of 4th Ave). You can also log onto our website for all of the details at Mantra at www.yourmantra.com. South Surrey’s Glenmore and Highland Park Grand Opening. Eight inspiring model homes. One big celebration. Bring the whole family to the grand opening of Glenmore and Highland Park, a collection of two, three and four bedroom townhomes at Morgan Heights in South Surrey. Visit eight fully decorated model homes by four talented designers: Alda Pereira, BYU Design, Cecconi Simone and Insight Design Group. Bring the kids and enjoy hot dogs and hot chocolate, plus face painting and free pumpkins to take home. The majority of homes sold in the first release. But there’s still time. In fact, if you purchase on our Grand Opening Weekend at the Glenmore and Highland Park launch, you’ll receive exclusive promotions. Meet the designers 12 – 2pm Saturday October 13th. Glenmore at Morgan Heights. Priced from $359,900. glenmoreliving.ca. Here is the latest email push page from the Alto condos real estate marketing team in regards to the sales launch and upcoming information releases about this downtown Vancouver pre-construction development. Thank you for your interest in Alto. As a VIP Registrant you will be among the first to receive information on Alto Condos. You will definitely want to be in the know about these unique residences. Located on the corner of Davie and Howe, Vancouver’s Alto is 110 unique and fresh residences with plenty of features that set it apart from the crowd. 10 foot ceilings stand tall, zebrawood hardwood flooring is found below and four piece relaxing bathrooms and chef-inspired kitchen are standard here. Those are just some of the features that let you know, at Alto Vancouver your living the high life. Although we have not set an exact date for the Alto launch, we do know it will be in October or November. As the VIP Opening is fast approaching, we are working on finalizing the floorplans, features and amenities that Alto will be offering. An Alto sales representative should be in contact with you shortly if you have not already spoken to one. If you have any questions please feel free to call us at 604.688.9959. 110 Fresh Residences. 10 Foot Ceilings. Stand tall at Alto Condominiums! Because only here will you find the 10 foot ceilings and Euro-design style that reveals a fresh vision for residences in Vancouver’s core. The address is Howe and Davie – the lively intersection where Yaletown meets the West End. In this dynamic neighbourhood close to everything, Alto Condos raises the bar on contemporary sophistication. Anticipate inspired design, innovative colour palettes, ultra-modern features, and three impressive amenity spaces! Alto. Urban living raised to the power of 10. Are you high? Unique to Downtown, Vancouver Alto’s 10 foot ceilings give you extra height… extra volume… extra value! The Power of 9 – 9 Amazing Restaurants within 2 Blocks of Alto condo residences in Downtown Vancouver. Looking for the perfect place for a casual lunch or to celebrate a special occasion? Have a yen for a box of sea-fresh sushi, or to sear your taste buds with something hot and spicy? Whatever you fancy in the way of food – from hamburgers to haute cuisine, Alto condominium homes is surrounded by some of the best places to eat in the city. Bon Appetit! Alto Condos has 3 distinct amenity spaces. The Terrace on the Seventh floor features a lavishly landscaped outdoor terrace with fireplace, BBQ, patio with tables and chairs, and indoor kitchen. The Alto Lounge on the third floor, with its warming fireplace, is the cool weather hot-spot for billiards or catching the big games on the large screen TV. And the second-floor Alto Studio is ideal for tuning your bike, waxing your snowboard and small repair jobs. 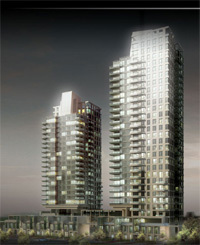 Priority Register for the downtown Vancouver Alto Condos today at www.altolife.com or phone 604.688.9959. Coming Soon. Register Now! Presentation centre at 1233 Howe Street in Vancouver, BC. Real Estate marketing and sales by MAC Marketing Solutions. The latest from their Alto VIP letter. Hello. How’s it going? The Power of VIP. Smart move. You are now an Alto VIP. Because you pre-registered your interest, it means you get an exclusive opportunity to book your VIP appointment before opening Alto Condos to the general public. Simply call 604.688.9959 for your appointment on Saturday, October 20th. That will put you in the position to get the Alto home you want. Are you impressed yet? We’ve been working hard to make sure you will be impressed when you see the 10 foot ceilings, 4-piece bathrooms (showers with room for two! ), modern colour schemes and patios to die for. It’s all about how you want to live- in the city, near the action, in style. Designer finishes at Alto Condominiums in Downtown Vancouver including Electrolux stainless steel and paneled appliances, polished stone composite kitchen countertops and custom cabinetry from floor to ceiling make it easy to cook and entertain in style. Are you gutsy enough to go with the Zebrawood hardwood flooring or will you choose a sophisticated styleish look in oak or walnut? Hip light fixtures at Vancouver’s Alto condominium residences and the contemporary ceiling fan takes you right to “cool”. And don’t forget the Power of 10 – 10 foot ceilings. You won’t find these anywhere else for a new downtown home. Picture 20% more vertical space. Imagine how much more light you get with Alto’s floor to ceilings windows when your ceilings are 10 feet high. At Alto condos, you’ll always be at the centre of the action. Wander down Robson, lunch at Nu Restaurant on the water, take Buddy to Nelson Dog Park and treat him to a new sweater from the funky Yaletown shop. Jog the seawall or pump it up at Fitness World across the street. Meet friends for an intimate dinner at Bin 941 and strut down Granville Street for some great live musc and dancing. You’ll be so close to everything that you won’t need a car. No worries if you decide to ditch your car and insurance payments if you purchase at Alto Condominiums Vancouver. There’s always the Alto Volvo C30 you can book for that snowboarding trip to Whistler or visit those poor friends stuck in the burbs. Starting from under $400,000 you will find a home that is the height of your expectations. 110 fresh and unique residences. 10 foot ceilings. Lofts (454 to 597 sq ft) from the $380,000s, one bedroom Alto condos (600 – 764 sq ft) from the $460,000s, two bedroom suites (834- 958 sq ft) from the $590,000s, one bedroom townhomes (100 4 – 1066 square feet) from the $690,000s and sub and penthouse Alto condominiums (1035 – 1792) from the $970,000s. RSVP today at 604.688.9959 to arrange your VIP viewing on Saturday, October 20th. The Alto Presentation Centre is located at 1233 Howe St. Don’t miss out on your chance to be part of the high life at Alto Condos! Cam Good – Alto Sales Director. THE POWER OF ALTO FLOORPLANS. Our VIP Opening is only two days away! Appointment times are filling up fast and you definitely don't want to miss out on Alto. We have completed the floor plans for you to review prior to the weekend. With over 40 unique floorplans to choose from we know you'll find a home that suits your needs. There are so many fantastic floorplans to choose from you definitely need a couple days to think about it. Again we are starting appointment times at Noon on Saturday. So please make sure you give us a call today so we can book you in. If you have any questions please feel to call the Alto sales associate that have been in touch with you or you can call us at 604.688.9959. Our VIP Opening was a hit! Over 70% sold at our VIP opening day and everyone's talking about Alto's fresh interiors, great amenities and convenient location. Alto is the hippest place to live in downtown Vancouver. If you have not been to our Presentation Centre yet, you must check it out! There are still a great selection of homes available to suit your lifestyle. THE POWER OF CHOICE. Our Public Grand Opening is going to be held on Saturday, November 3rd. If you would like to visit us at the Presentation Centre before then, please call us at 604.688.9959 to make an appointment. We would be happy to introduce you to Alto. You don't want to miss out. Call us today! Alto - One Bedrooms are the new black! Alto Vancouver downtown presales is selling out fast! We are closing the doors to our Presentation Centre this April and everyone is rushing to grab the last few homes we have available. Luckily we still have a great selection of preconstruction Alto homes to suit your needs. For example, there are only three pre-sales homes left of our very popular 1-bedroom home (1B-A2 plan). This is the same floorplan as the display suite located in the Alto Presentation Centre. This plan is perfect for singles, couples, and investors alike. That’s because for a 1-bedroom this home is big! Alto Vancouver is about getting the most for your money. Starting at $490,900. On Sunday, April 13th at 6pm we will be closing the doors to the downtown Vancouver real estate offering at Alto Presentation Centre for the last time. We will be tearing down the Alto display home to make way for the construction crews. Our Alto sales representatives will still be available by appointment after April 13th. It’s been six months since we opened our gorgeous Presentation Centre and time has sure flown by! Over 90 people have found a unique space in Alto and can’t wait to call it home. We still have a great selection of homes available at pre-construction condo prices - now is the time to purchase at Alto before it’s too late! Granville Island, South Granville Street, West 4th Avenue and Kitsilano are all some of Vancouver's most recognizable and sought after neighbourhoods. With a rich and vibrant history, these neighbourhoods are destinations for visitors and locals alike. Mantra puts you in the centre of all of them. Located at the corner of West 4th Avenue and Pine Street, Mantra Residences will be an extension of the very well-known shops along 4th Avenue. Clothing and home accessory shops line the street along with sport shops specializing in bikes, snowboards and skis. Mixed in with all of the shops are dozens of restaurants offering every type of food imaginable. Thai, Indian, Japanese, Italian, Westcoast, casual, gourmet and everything in between are all available steps from Mantra. Just a few blocks down from West 4th Avenue is Kitsilano Beach, a favourite summer hot spot and a variety of other shops and restaurants. North of Mantra Condominium Suites and a few blocks away is Granville Island, known for offering specialty foods, gifts, and live street performances. The Public Market at Granville Island is famous for selling fresh produce, exotic fruits, all types of meats, cheeses, deli items, fresh pasta, baked breads and desserts, flowers, homemade items and so much more! Granville Island boasts the Children's Market, unique gift shops, art galleries, custom jewellery shops and a variety of restaurants including Bridges, Sandbar, and Go Fish just to name a few. The Arts Club Theatre and New Revue Stage is also popular for improv and theatre. Mantra Condo Homes is also located within walking distance to South Granville, another beloved neighbourhood in Vancouver. South Granville offers easy access to some of the city's best art galleries as well as various home decor shops to personalize your home. Restoration Hardware and Pottery Barn have long been destinations on South Granville and Williams Sonoma is soon to open. Designer shops such as Max Mara, Boboli, DKNY run the length of Granville Street along with some of Vancouver's most coveted restaurants such as West and Vij's. Don't forget about Meinhardt's, a South Granville staple for fine foods are steps from Mantra Condos. It's not possible to list all of the Mantra amenities in these wonderful neighbourhoods, nor is it possible to capture the vibrancy and atmosphere of these areas and put them into words. What residents of Mantra Residences will come to realize, is that their home offers them the ability to enjoy all of these neighbourhoods, and do so within walking distance which means less time in a car and spending less money for parking. And all for the good of the planet as they support a sustainable lifestyle. Mantra Condos Presentation Centre Opening Soon! The Presentation Centre and display suite for Mantra Condominiums is nearly ready so be on the lookout for more information coming very soon! Boasting a crisp, modern architecture, decks as large as 1,000 square feet, and geothermal heating as well, the pre-sales Kits Mantra condos is a stylish addition to the vibrant culture of Kitsilano’s Fourth Avenue neighbourhood. Kitchens include KitchenAid Architect Series refridgerator, wall mounted oven, and soft close cabinetry. The ventless dryer and front load washer are by Bosch. The results at the Kitsilano Mantra pre-construction condominium residences is spectacular. Mantra Kits condo soffers a total of 68 homes ranging from one bedroom to two bedroom with den and prices start at $524,900. The Mantra Kitsilano presentation centre and display suite are open noon to 5pm except on Fridays at 2060 Pine Street (at Fourth Avenue) – easy walking distance to everything. For more information about pre-sales condo purchases at the Kitsilano Mantra development, please call 604.734.3488 or visit online www.yourmantra.com. A collectin of new Kitsilano Vancouver real estate developments are popping onto the scene, and one that is almost complete but still offering condo units at pre-sales prices is the one at Mantra Kits Condominiums. Find beauty within as their marketing calls for. With geothermal air-conditioned concrete residences, Mantra Kits presales condos in Vancouver are what many urban chic home buyers are purchasing. With every detail carefully chosen for its style and functionality at Mantra, the interiors optimizes space and eliminates visual clutter by favouring clean, simple lines and clever details. From wide-plank, engineered hardwood flooring and double thick composite stone countertops to stainless steel KitchenAid Architectural Series appliances including a wind fridge, every inch of your pre-construction Vancouver Mantra condo home proves that life is indeed found in the details. With over 65% sold out already, the Kitsilano Mantra condominiums presentation centre is located at 2060 Pine Street in Vancouver and is open 12 to 5 pm daily and closed Fridays. For more purchase information, please visit their sales office or you can phone 604.734.3488 or visit yourmantra.com. The one bedroom Mantra pre-sales condos start from 642 sf while the two plus den homes are from 985 sqft. Both layouts at the pre-construction Mantra Kits condos are still available. According to Susan Boyce of the New Home Buyers Guide, Mantra: I’ve been watching it for months. First the signage asking “What’s Your Mantra?” Then the excavation. And finaly the beginning of the structure’s outline begins to rise from the ground. I’ll admist to being a confirmed Kits gal at heart, so you can bet I’m ecstatic about the real estate presales opportunity to check out Mantra in Kitsilano for myself. Located at the corner of Fourth Avenue and Pine Street, this is one great looking, distinctly hip residence. The architecture is crisp and modern yet with a sense of flow, of cadence that somehow reminds me of watching the rhythm of the ocean waves just minutes away at Kits Beach. There’s a pleasing sense of balance too. Two skybridges floating about Mantra’s central fitness cetnre and communal terrace connect the building’s two, mirror-image halves. Decks at Mantra Kits condo presales are huge – some as large as one thousand sqft – giving an airness to the solidity of concrete construction and accents of volcanic basalt stone from Whistler. Some fo the great features at Mantra are the finishes that are environmentally sensitive. Earth friendly living is what the pre-construction Vancouver real estate opportunity at Mantra Kits provides a home purchaser according to Susan. And ehre’s another big time bonus – Mantra Homes will incorporate the latest in geothermal technology. “When people realize they’re going to have an air cooling system, a constant supply of fresh, clean air, plus they’re going to save up to 70% of their energy costs, you should see the way their eyes light up,” Mike says. All this, and no greenhouse gas emissions either. AS Mike walks me back to the reception area, we take a few minutes to chat about the Kitsilano many amenities. Granville Island and Kits Beach are just minutes away from the Kits Mantra condo homes and so are the culinary adventures along Fourth Avenue, the myriad of galleries and walking neighbourhood. Mantra offers a total of only 68 homes ranging from 1 or 2 bedroom suites and they start from $524,900. The Mantra Kits presentation center is located at 2060 Pine Street and is open today! Top Selling Richmond Prado Homes Nearing Sell Out! Only 50 units remain at the Prado Richmond condos for sale within the Lansdowne Mall and Canada Line SkyTrain station community. You can even move in today! With a four floor podium connecting two high-rise Richmond condo towers, the Prado master planned condominium community is now complete and ready for homebuyers who do not wish to wait for a presale development to delay and complete. A beautiful exterior façade coupled with maintenance free living are two benefits of purchasing a new Richmond condo here and second of all, one bedroom and den homes start from just the low four hundred thousand dollar price point. The gourmet kitchens at the new Richmond Prado condos for sale will feature such things as under cabinet task lighting, sleek modern cabinetry, full height back splashes as well as stainless steel appliances. In addition, there are Caesarstone surround fireplaces, open air balconies and terraces with views in addition to the many community amenities featured at the new Prado Richmond condos for sale: meeting room, guest suite, gym, sauna, steam room, social lounge and putting green. The location is impeccable. Think of the new Canada Line SkyTrain station being just a block away, or all the boutiques and big box retailers in Lansdowne. You’ve got it all. The two display suites are still open here at the new Prado Richmond condos for sale. Richmond real estate’s best selling homes with only 50 left for sale at the new Richmond Prado condos. You can still own in Richmond real estate’s most desirable downtown location. Half a block to the new Canada Line Station and ireclty across from Lansdowne Mall puts you at the centre of convenience. While this location is amazing, it’s the quality of the new Richmond Prado homes that stands apart. The new Prado homes have extra large interiors and quality finishes including stainless steel appliances and CaesarStone countertops. Prado Richmond living is a luxuriously rich complement to your lifestyle. Move in today into these newly completed condominium residences. The Richmond Prado Home display suites are open for private viewing right now, so call 604.276.8180 today for more information. Considered a landmark address already in the heart of the downtown Richmond real estate market, the Prado Homes provide a wide range of floor plan options for homebuyers. From sub penthouses to one bedroom and den homes that are very spacious and close to eight hundred square feet, these Prado Richmond homes for sale start from the low four hundred thousand dollar range and are just blocks away from the new Canada Line SkyTrain station that can take you to downtown Vancouver waterfront station in less than 20 minutes. With large kitchens that include stainless steeel appliances, under cabinetry lighting, fireplaces, French doors, back splashes, pantry closets, balconies and views, the completed Richmond Prado homes are now available for purchase and immediate occupancy, so there is no waiting game at all. In addition, the amazing Prado Richmond condo amenities include such things as a guest suite, social lounge with pool table, steam room, sauna, meeting/business room, fitness centre and on site putting green to practise your swing. The presentation centre for the Prado Homes is located at 8120 Lansdowne Road in Richmond. Phase One of the Richmond Prado real estate development is scheduled for move-ins in October 2009. Phase Two Prado tower residences are scheduled for completion in early 2010. After months of anticipation, we’re delighted to announce that Meridian Gate, Polygon’s new apartment community in Richmond’s Alexandra Gardens neighbourhood, will open soon. Beginning at noon on Saturday, October 20, 2007, you're invited to take advantage of Richmond Meridian Gate Condos opening day pricing and the first selection of homes. With one bedroom apartment residences starting from $269,900 and two bedroom condominium homes starting from $339,900, you’ll want to make sure you’re the first in line! The first 50 buyers at Meridian Gate Richmond can take advantage of a special financing promotion so we strongly encourage you to arrive early! Call Meridian Gate for more details. To take a look at these bright and spacious one, two and three bedroom Meridian Gate Richmond condo floorplans and to receive more detailed information, please call us at 604 871-4188. We hope to see you next Saturday so that you can discover Meridian Gate residence condominiums first hand. Our presentation centre is located at 9191 Odlin Road (between Garden City Road and No. 4 Road). POLYGON MERIDIAN GATE HOMES LTD.
Polygon's Meridian Gate Now Selling! Wow! It's been an unbelievable start to the sales program at Meridian Gate, Polygon's new collection of aprtment residences in Richmond. Since opening a few weeks ago, we've sold over 80 homes! It’s not surprising when you consider all that Meridian Gate has to offer. The location in Richmond’s new Alexandra Gardens neighbourhood is fantastic – a place that will soon be home to new parks, greenways and shopping – yet is also just minutes from the hundreds of restaurants, shops and services of central Richmond. It’s a Richmond area with a strong future that is proving extremely popular with today’s homebuyer. Inside, light, space and attention to detail is what’s attracting people to these one, two and three bedroom Meridian Gate homes. Every home is full of unique details – gourmet kitchens with granite counters and stainless steel appliances, luxurious ensuite baths and spacious decks or patios for outdoor living. There’s even a resident-only Meridian Gate clubhouse full of resort-style amenities such as an outdoor pool and spa, fireside games lounge, fitness studio, screening room, guest suite, resident concierge and more. We encourage you to visit us again soon! Our Richmond Meridian Gate presentation centre is located at 9191 Odlin Road (between Garden City Road and No.4 Road) and we're open from noon to 5pm daily except Friday. If you have any questions, please call us at 604.279.5418. We look forward to seeing you soon! Richmond’s West Cambie neighbourhood will soon be home to townhouses at Hennessy Green, a charming new townhome community by Polygon. Centrally located on the corner of Odlin Road and No. 4 Road, Hennessey Green Richmond is close to schools, parks, fine dinig, world class shopping, and entertainment. This collection of three and four bedroom townhomes features rich, Arts and Crafts architecture with gourmet kitchens, entertainment style living and dining rooms, main floor power rooms, plus decks and private yards. Homeowners at Hennessey Green townhomes in Richmond will also enjoy membership to the private clubhouse featuring a fully equipped fitness studio, fireside lounge, games room, kitchen and outdoor terrace. Sales are scheduled to commence in early 2008. For more information, call and to priority register call 604.871.4221 or visit www.polyhomes.com. Spectacular Hennessy Green Richmond Townhomes Come With a New Mercedes! Mercedes-Benz included with final 8 homes at the Hennessey Green Richmond Townhomes for sale right now! Greetings from Hennessy Green real estate development, Polygon's latest collection of executive-style townhomes in Richmond's Alexandra Gardens neighbourhood. The luxurious Richmond homes for sale at Hennessy Green townhomes have continued to be a popular choice among Richmond real estate homebuyers. In fact, we am excited to announce that now only 8 pre-sale Richmond homes remain for sale! What's more, as we approach the selling-out of this new Polygon Richmond community, we are pleased to bring back the hugely successful Mercedes-Benz promotion due to popular demand - that's right, every one of our final 8 presale Richmond Hennessey Green homes will come with a brand new Mercedes SUV! * Now you can enjoy generous space, designer details, and exceptional comfort whether you are at home or on the road. The four bedroom Alexandria Gardens Richmonds homes for sale at Hennessy Green range up to 1,748 square feet and feature the luxury of air conditioning, double side-by-side garages, sophisticated kitchens with warm wood-style flooring and sleek stainless steel appliances, and a private residents-only clubhouse featuring a fitness studio, games room, and outdoor fireside patio. This exciting Polygon Mercedes-Benz Hennessey Green promotion begins this coming Saturday, April 11th, so we encourage you to visit us again soon for details! As a reminder, our sales centre and three stunning display homes are located at 9800 Odlin Road in Richmond, and are open daily from noon to 6pm except Friday. In the meantime, should you have any questions, please do not hesitate to contact us directly at 604-303-6840, or by email at hennessygreen@polyhomes.com. * Based on a 2009 Mercedes-Benz ML320BT with a total value of $72,450. Promotion for the Hennessey Green Richmond townhomes for sale in Alexandria Gardens only applies to new firm contracts of purchase and sale entered into on or after April 11, 2009. Ask Polygon sales staff for details. Mercedes-Benz is a registered trade-mark and its owner is not associated with this communication or promotion in any way. Sincerely, POLYGON HENNESSY GREEN DEVELOPMENT LTD.
Only 5 Hennessy Green Richmond Homes for sale left with Free Mercedes in Richmond! Greetings from Hennessy Green real estate development, Polygon's latest collection of executive-style townhomes in Richmond's Alexandra Gardens neighbourhood. With the re-introduction of our Mercedes SUV promotion – valued at over $70,000 – we are pleased to let you know that we are now down to our final five homes here at Hennessey Green new Richmond homes for sale. As they say, we’ve saved the best for last! These final five Hennessy Green Richmond homes for sale – all spacious four-bedroom townhouse plans that range up to 1,748 square feet – feature the luxury of air conditioning, double side-by-side garages, sophisticated kitchens with warm wood-style flooring and sleek stainless steel appliances. These new Richmond homes represent some of the best residences in the community and, with a Mercedes SUV now included*, they offer some of the best value in Richmond real estate market. As a reminder, our Hennessy Green townhome sales centre and three stunning display homes are located at 9800 Odlin Road in Richmond real estate, and are open from 12 - 6pm except Fridays. In the meantime, should you have any questions, please do not hesitate to contact us directly at 604-303-6840, or by email at hennessygreen@polyhomes.com. *Based on a 2009 Mercedes-Benz ML320BT with a total value of $72,450. Ask sales staff for details. Sincerely, POLYGON HENNESSY GREEN DEVELOPMENT LTD.
Set amid manicured lawns and an English inspired courtyard, these 32 Tudor style townhomes are situated at Garden City and Blundell in one of Richmond’s most popular neighbourhoods – McLennan. Offering a choice of two or three storey living, the Chelsea Estates Townhomes in Richmond are three and four bedroom homes featuring gourmet kitchens with full stainless steel appliance package and granite counters, radiant hot water heating on all levels, and a location that’s walking distance to the new 21-acre Garden City Community Park, Richmond Centre, schools, restaurants, and a vast array of city amenities in the town centre. The Chelsea Richmond Estate Townhomes sales centre will celebrate its grand opening on October 20th, but in the meantime for more information and to priority register call 604.274.7326 or visit www.chelsealuxury.com. The Richmond Chelsea Estates Are Here! After a year of planning, the pre-construction Chelsea Estates homes are now selling in the Richmond BC real estate market. The grand opening event is on now with the best selection of fabulous, spacious pre-construction Richmond BC homes that are priced to sell! A landmark Address between Keefer Ave and Blundell Ave in Bridge St and No. 4 Road in the bustling and eclectic city of Richmond BC. The presentation centre for the pre-sale Chelsea Estates townhomes in Richmond BC real estate market is located at Unit #6 – 9688 Keefer Ave and is open Mon through Thurs from 12 to 4pm as well as Saturday and Sun from 12 to 4pm. They are closed on Fridays. Visit www.chelsealuxury.com or call 604.338.3008 for more details about these preconstruction Richmond BC townhomes at Chelsea Estates townhouses today. Old World Charm with New World Attitude is their catch phrase. Chelsea Estates Richmond BC real estate: a premier series of 32 Tudor style homes of stucco and red brick, with large three storey townhomes featuring three or four bedroom floor plans, and your own two car garage. It’s all about the familiar comforts of home here at Chelsea Estates Richmond BC townhomes. As a home owner, prepare a savoury meal in your gourmet kitchen, or sink into a soothing bubble bath in your spa style bathroom. Whether it’s dining, shopping, schools, or parks, your new sanctuary at the Chelsea Estates Richmond townhomes for sale sits within walking distance of the very best that Richmond real estate had to offer. You will discover a beautiful new lifestyle in this neighbourhood of boundless energy and liveability here in the Richmond BC real estate market. Great floorplans are now available at Chelsea Estates Richmond townhomes for sale and are priced from $499,900. Located in the McLennan neighbourhood of Richmond BC real estate, the Chelsea Estates townhomes are at 9688 Keefer Avenue while the presentation centre is found at 12235 No. 3 Road in Steveston. Tudor style homes in a variety of three and four bedroom designed to look like single family homes clustered around a central courtyard. Gourmet kitchens with stainless steel appliances, Zen inspired bathrooms with soaker tubs, plus radiant heating throughout are presented at the Richmond Chelsea Estates townhouses now being constructed. Elementary schools, high schools, and the 21 acre Garden City Community Park are walking distance to Chelsea Estates Richmond real estate development and Kwantlen University College is just down the street as is Richmond’s shopping district. Gateway Theatre, Minoru Park and Richmond Public Library are close at hand. Chelsea Estates Richmond Homes – Save Over $50,000 Now! Spring blowout event on now at the Richmond Chelsea Estates townhomes and single family homes for sale plus the GST is included with your purchase for a limited time only! Old World Charm with a New World Attitude is their marketing catch phrase for the new pre-construction Richmond Chelsea Estates homes for sale. Chelsea Estates according to their print ad: a premier serices of 32 Tudor style Richmond homes for sale with exteriors of stucco and red brick with large three storey Richmond townhomes for sale featuring 3 or 4 bedroom floorplans in addition to cozy in floor radiant hot water heating throughout the homes and your very own two car garage for convenience and value. In addition, it’s all about the familiar comforts of a new Richmond home here at the Chelsea Estates real estate development. Prepare a savoury meal every day in your gourmet kitchen, or sink into a soothing bath in your spa style bathrooms here at the new Chelsea Estates Richmond townhomes for sale. Whether it’s dining, shopping, parks, or schools, your new sanctuary at the Chelsea Estates Richmond real estate development of luxurious family style townhouses sits within walking distance to all that the city has to offer. You will discover a beautiful new lifestyle in this Chelsea Estates Richmond townhome neighbourhood of boundless energy and liveability. Great floorplans available now from $458,800. Contact Clayton or Lynn for more information or just visit the Richmond Chselea Estates townhome presentation centre located at 9688 Keefer Avenue. Chelsealuxury.com. Coming soon to 9751 Ferndale Road in Richmond’s popular South McLennan, Miora town homes offers a select group of 21 townhouses. Easy access to Vancouver, shopping, Kwantlen University Collage, and a host of cultural and dining options. For more information and to priority register, call 604.725.1250 or you can visit www.ampri.ca. Offering the best of our unique West Coast lifestyle, Concord Gateway is a celebration of vitality and diversity. A new Concord Pacific community of 1,000 stylish residences and on site amenities including swimming pool, fitness centre and theatre, the Concord Gateway real estate property will have 360 degree access to everything, without the traffic. You’re just five minutes from the airport and Vancouver, and right outside your door at Richmond’s Concord Gateway, you’ll find park space, shops, restaurants, the new Canada Line SkyTrain station and the 2010 Olympic skating venue. This Concord Pacific Gateway Richmond property development is in pre-construction stage right now. For more information about the Concord Gateway project and to priority register for this premier community, call 604.899.8800 or you can visit www.concordpacific.com. Centrally located at Westminster Highway and No. 3 Road in the heart of Richmond, Camino Condos is a 16 storey tower with a broad selection of one, two and three bedroom floorplans. Designed with clean, contemporary architectural lines, Richmond Camino will also feature an on-site fitness studio, meeting rooms, and a spectacular 10,000 square foot rooftop garden. Priority registration is now underway by visiting www.caminoliving.com. Prime Richmond residences at Camino will include such amenities as: sixteen storey concrete high-rise tower with high end quality finishes, landscaped roof garden, private clubhouse, gourmet kitchens, 5 brand name appliances, spacious balconies, hardwood flooring, high-end chrome fixtures, two designer choice colour schemes, 24 hour surveillance with video as well as secure indoor parking. There are many reasons to purchase at Camino Richmond condos and on opening day on September 8th, they sold twenty suites in just 2 days. The Presentation centre for Camino Richmond is located at 110 – 6061 No. 3 Road and is open daily 12 to 5pm. The Richmond Camino condominium residences will be the last parcel of prime real estate in the heart of downtown Richmond, just 20 minutes to downtown Vancouver via the RAV line. Luxury defined. Resort style amenities and breathtaking views. Massive Transformation. Best of the Garden City area. Renowned for excellence and only 8 units remain. The urban condominiums at Ocean Walk Richmond are designed by world renowned Lawrence Doyle Architects and they will include both ocean and mountain views from most homes. The Ocean Walk condominiums in Richmond will also have plenty of outdoor space and solid core entry, wide plank smoked oak or maple flooring in addition to window coverings that come standard in every residence. The Richmond Ocean Walk real estate homes will also have oversized soaker tubs and granite, ceramic tiling and chrome faucets. The Ocean Walk resort style community will also feature a 20,000 square foot five star resort area for all residents to use that includes a roof top terrace, outdoor hot tubs, barbeque, three storey water fall feature, geust suites, exercise room and an on-site manager. Visit www.oceanwalkcondos.ca for more information today. Style – Spacious homes from eight hundred and one thousand seven hundred and sixty square feet. Location of Prado Condominiums – Downtown Richmond, across from Landsdowne Centre and future Canada Line Station. Quality of Richmond’s Prado – Incredible finishes including CaesarStone countertops and stainless steel appliances. Size of the master-planned Prado Richmond real estate development – two 16 storey towers, one 9 story midrise and townhomes available. A home modeled on perfection, finished with exceptional quality, central to all that is important and destined to impress. Prado. A reflection of you. Register for Prado Richmond condominiums and townhouses today at 604.276.8180 or visit www.pradoliving.com. Priority registration is now underway fro Prado Richmond townhomes and condos, a combination of two 16 storey high rise towers, a nine storey low rise, and a limited collection of townhomes centrally located on Lansdowne Road across from Lansdowne Centre in Richmond. Homes will range from 800 to 1760 square feet, and will include stainless steel appliances and stylish Caesarstone countertops. For more info and to be sure your name is on the priority list, call 604.276.8180 or visit on the web anytime at www.pradoliving.com for all the updates for the Richmond Prado condominium homes and townhomes. Residence condominiums steps ahead of the rest in Richmond, BC. Ultra-modern interiors offer contemporary treatments like porcelain tiles contrasted with plush carpeting. Light pours through floor to ceiling windows and air conditioning keeps you comfortable at Richmond’s Paloma 2 condo homes. Stunning kitchens feature quartz countertops and stainless steel appliances, and in sumptuous bathrooms marble-topped vanities and soaker tubs wait to pamper. Starting from $413,900 are the condominium residences at Paloma 2 in Richmond BC. Presentation centre for the Palmoa2 condos is at 220 – 6088 No 3 Road in Richmond and it is open daily except Fridays between 12 to 5pm. Palomaliving.ca or 604.276.9919. According to Bill Kimmet of the New Home Buyer’s Guide, Paloma 2 Richmond is poised above the street-scape below, the striking façade with its dramatic curved glass and modernistic architecture has the subtlety of an oriental fan. “Paloma 2/s luxury homes aboutn in urban vibrancy and sophistication,” said Ken Brown, Sales Manager at Regent International. The future is defined by innovation and change, and Paloma 2 with its vital energy will allow you to enjoy life int eh fast lane, a step ahead of the rest. Furthermore, the Paloma 2 condominium pre-construction property has solid concrete construction offering the 2-10-10 Willis Canada Warranty and a resident hotel-style concierge service. The dawn of urban living in Pitt Meadows is here at Solaris. An exceptional real estate opportunity within a peaceful, picturesque village is on the horizon. Be the first to experience urban living surrounded by many beautiful fields and riverbanks of Pitt Meadows at Solaris condominium homes. RG Properties, developer of some of B.C.’s most ambitious developments and PaceSetter Marketing are pleased to present the Lower Mainland’s Next Great Residential offering for those looking for substantial capital appreciation over the next two years. Solaris, the first of three towers at Meadows Gate in Pitt Meadows will incorporate commercial, recreational and residential properties to form the first master planned community in this region of the Lower Mainland. Most of the Solaris commercial and recreational properties are fully developed including a recreation centre, library, elementary school and civic hall. Solaris Meadows Gate is scheduled for completion by late winter 2009, to coincide with the completion of the new Golden Ears Bridge, connecting Surrey and Langley to Pitt Meadows and Maple Ridge, greatly reducing commuter times to Vancouver. Pitt Meadows Launches Final Suites at Solaris! Your Solaris Pitt Meadows homes for sale are now available and pretty packed with spectacular views (only concrete high-rise in Pitt Meadows real estate market), spacious and stylish floor plans (up to 1300 square feeet of excellent quality and solid specs) in addition to a convenient location that is close to walking, swimming, cycling, kayaking, canoeing, hiking, shoping, flying a plan, riding a horse, reading in the sun, golfing, dancing, dining and even waking up happy every day! The pre-construction Pitt Meadows Solaris condo homes also feature a quick and easy commute along the Pitt River or Golden Ears Bridge as well as the West Coast Express train. Also, you are just an elevator ride away from every day services and amenities, recreational centres, shops and the library here at the new Pitt Meadows Solaris condos. For more information about Solaris Pitt Meadows real estate development, please visit lifeatsolaris.com or call 604.460.8998. You can also visit the Solaris Condo Sales Centre that is located at 12059 Harris Road in Pitt Meadows real estate market. They are open Saturday, Sunday, Monday and Thursday from 12 to 5pm. The Gateway Transportation Project and more specifically the expansion of the Pitt River Bridge and the new Golden Ears Bridge will have a significant impact on commercial and residential properties over the next five years according to recent studies. The R.E.I.N. study (www.reincanada.com - click on Gateway Effect Research Report) recently reported that the Gateway Project will add approximately 10-20% to real estate impacted by the new transportation networks over and above the projected 3-5% annual increase in real estate values in recent forecasts. After much anticipation, we are delighted to announce that Solaris at Meadows Gate will be released on an exclusive basis to a select few prior to the Grand Opening on October 27th, 2007. The inventory released prior to the Solaris Grand Opening will be limited and pricing will be lower at this event. Our sales team will be calling or emailing you over the next week to answer any questions concerning the project and our investor package. Visit us at www.lifeatsolaris.com or call 604-460-8998 for further information about Solaris. Solaris, the first mid-rise building in Meadows Gate Village and future Gateway Transportation Project will make Pitt Meadows the Next Real Estate Hot Spot. Invest where the Gateway Transportation Project will impact most, adding approximately 10-20% to real estate values over and above the projected 3-5% annual residential property value increase. You won’t find another real estate development like Solaris at Meadows Gate Village in Pitt Meadows, invest where property values are sure to increase, your investment is secure and demand is high, as this is the only mid-rise offering in Pitt Meadows. We want to be sure you receive your invitation to our very special V.I.P. event for Solaris at Meadows Gate on November 3rd, 2007 from 12:00 noon to 5:00 pm. As a priority registrant you will be among the first to get a sneak preview of the new Solaris Discovery Centre. Web site is now LIVE. Visit www.lifeatsolaris.com for a virtual tour from Vancouver to Pitt Meadows and your first peek at the Solaris Floorplans and Features. Yes you will be able to assign your contract. Yes you will be able to use the Lombard Bond for 50% of your deposit. Yes your required deposit is only 7.5%. Yes the TD Bank will be guaranteeing rates. Yes you will be moving into your new home in 2009. Mark your CALENDAR - Saturday, November 3rd, 2007. This is an exclusive event and will only be happening for one day – Don’t miss out on your opportunity to purchase at Solaris in Meadows Gate Village in Pitt Meadows. The very first concrete towers in Pitt Meadows. Please do not hesitate to call or email us if you have any questions. Dates are approximate, exact dates will be outlined in Contract of Purchase and Sale and are subject to change. SOLARIS at MEADOWS GATE VILLAGE, the first of three concrete towers in Pitt Meadows. Come and experience life at Solaris in the fabulously furnished two bedroom and den display home. The magnificent views from Solaris will be accentuated by many expansive windows. Imagine conveniences like the library, recreation, facilities, shopping and restaurants just an elevator ride away! The Gateway Project, including the new seven lane Pitt Meadows Bridge and the new six lane Golden Ears Bridge, will enhance accessibility in and out of Pitt Meadows. Until then the West Coast Express commuter train is less than two blocks away. Due to the tremendous amount of interest we have received, we encourage you to come prepared and as there may be line ups, please dress for the season. Your Solaris Home: Select your floor plans, options and views on the Solaris website. Meadows Gate Village - This past weekend we opened our doors to V.I.P.s like you and attained wonderful reviews! Thank you for making Solaris a great success! Congratulations to those who have already purchased at Solaris, the first concrete towers in the heart of Pitt Meadows. A great investment; with two bedroom and den homes priced from, only $399,900* for an astounding 1,114 square feet, a great concrete value at only $358 per square foot. RG Properties and Pacesetter Marketing are dedicating this day to celebrating the revitalization of Pitt Meadows and to show you what’s in store for the future at Meadows Gate Village. We can look forward to a day filled with great entertainment, ribbon cutting by Pitt Meadows Mayor Don McLean, food and refreshments for the kids, and great real estate investments for you. For more information call the Solaris sales team today at 604-460-8998. The Presentation Centre is located at 12059 Harris Road at Ford Road, in beautiful Pitt Meadows. You are cordially invited to attend the Solaris at Meadows Gate Village Ceremonial Grand Opening. Please come and celebrate the launch of Solaris at Meadows Gate Village along with RG Properties, PaceSetter Marketing, ICR Projects and the many people who have helped Solaris at Meadows Gate Village reach this Grand Opening milestone. The Ceremonial Grand Opening Celebration for Solaris at Meadows Gate will begin at 12:00pm on Saturday November 17th at the Presentation Centre in Pitt Meadows - 12059 Harris Road (corner of Ford Road). The ribbon cutting ceremony with Mayor Don MacLean will commence at 12:30pm. We look forward to seeing you on Saturday November 17th. Solaris at Meadows Gate – Tower 1 Sold Out! The best of both worlds is located at Pitt Meadows’ Solaris at Meadows Gate. Tranquil condominium living. Urban connection. The Solaris at Meadows Gate real estate development: Enjoy Pitt Meadows’ first concrete condo midrise community. Solaris at Meadows Gate offers spacious luxurious amid a vibrant urban neighbourhood surrounded by mountains, beautiful parks and lakes. Urban connection at the Meadows Gate Solaris condos in Pitt Meadows real estate market: with the upcoming completion of the Golden Ears and Pitt Meadows bridges, Pitt Meadows is more accessible than ever. With close proximity to the WestCoast Express, and commuter connectivity to the entire Lower Mainland, Pitt Meadows’ Solaris at Meadows Gate condos is poised to become the new heart of the North Fraser Valley. Tower Two at Solaris condos in Pitt Meadows real estate is launching February 2, 2008 starting at noon. Visit the presentation centre at 12059 Harris Road in Pitt Meadows. www.lifeatsolaris.com or 604.460.9009. By MAC Marketing. The first midrise residential real estate development in Pitt Meadows, the Solaris at Meadows Gate condominiums is ideally located close to the West Coast Express and provides a broad array of recreational and cultural pursuits just walking distance from your home. Offerinv views of Golden Ears and exceptional level of luxury, the Pitt Meadows Solaris at Meadows Gate real estate development is a concrete apartment residence now selling the second and third towers. The newly renovated and updated presentation centre at Solaris at Meadows Gate is opening February 2, 2008 and will be open at 12059 Harris in Pitt Meadows. A tiny 500 sq ft apartment might be ok when you’re just starting out, but at a certain point in life, you want a real Pitt Meadows home. An affordable Pitt Meadows Solaris condo home with room to move and space to breathe can now be yours at pre-construction pricing. A home where friends are definitely welcome and family can gather without feeling squished. At Solaris Pitt Meadows real estate offering, you’ll find such a new apartment condo home, in a safe and ultra-friendly new neighbourhood with like minded people and great amenities including shoping, cafes, town library and recreation centre. Where hiking, canoeing, and beautiful walks are all close by to your new pre-sale Solaris at Pitt Meadows affordable condo home. All of this, but best of all, no lawns to mow and certainly low maintenance and upkeep. And now, Pitt Meadows real estate market is more accessible than ever. With completion of the new Golden Ears Bridge and replacement of the old Pitt River Bridge, traveling to destination throughout the Lower Mainland from your new pre-construction Pitt Meadows Solaris condominium residence will be easier than ever before. The presentation centre for the new Solaris condos in Pitt Meadows BC is now open at 12059 Harris Road. Lifeatsolaris.com or 604.460.8998. Higher living at Simon Fraser University as the Hub condominium homes geared towards students and the younger education oriented population makes it debut in the Lower Mainland Vancouver pre-construction real estate market. The Hub condos at Univercity in Burnaby features one hundred and forty six residences and the condominium breakdown of floorplans includes a range of studio condos, one and two bedroom suites. There are flats and townhomes, all with modern architecture and sleekly designed interiors at the Univercity Hub condos in Burnaby’s SFU area. Built to the latest environmental standards by Liberty Homes, this unique SFU Univercity Hub condominiums development will have responsible housing within the Simon Fraser corridor, which makes it a perfect purchase for the young student population in the district. The grand opening for the HUB at Univercity happened on September 29th with great fanfare and you can still schedule a viewing by calling 604.294.9482 or by visiting www.libertyhomes.ca. The studio homes at the Hub condominiums in Burnaby start from just $199,900 and the one bedroom range from $239,900. Presentation centre for the Hub at Univercity is located in the Cornerstone building at Simon Fraser University. The display suite is open daily from noon to 5pm and are now selling. Not all masterpieces are created on canvas. This is evident through the newest luxury and high-end residential community being launched at Burnaby’s Brentwood Gate area called The Harris. The Grand Opening is now happening. Introducing, the Harris, Ledingham McAllister’s latest master piece at Brentwood Gate in Burnaby. There will be a great selection of craftsman inspired homes overlooking a lushly landscaped greenspace nestled amongst a traditional residential community in Burnaby. 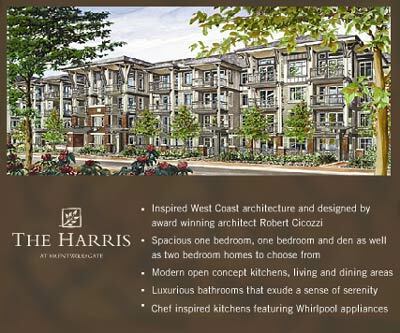 The Harris at Brentwood Burnaby will feature west coast inspired architecture by Robert Cicozzi, a well known architect who has one many awards for innovative and traditional design concepts. Also the Harris at brentwood Gate will offer homes between one bedroom and two bedroom (some with dens) that are affordability priced and will have all the great finishes that people have become used to by Ledingham McAllister. Brentwood Gate The Harris Homes needs you to complete the picture! The presentation centre for the Harris residences is located at 1960 Beta Avenue in Burnaby BC and it is open noon to 6pm daily except for Fridays. For more information about the Harris at Brentwood Gate, please don’t hesitate to contact them at 604.205.7228 or visit www.brentwoodgate.com today. From the West Coast Homes and Design Magazine published in February 2008 to promote the Brentwood Gate master-planned community by Ledingham McAllister. Six low rise buildings and a 27 storey presales condo tower are currently under construction in this master-planned commutity at Brentwood Gate in Burnaby. Homebuyers wishing to take advantage of pre-sale condo pricing in Ledingham McAllister’s Brentwood Gate community should act quickly. Situated in a traditional, long-established neighbourhood, Brentwood Gate Burnaby is a masterplanned community comprising of six four storey residential buildings and a twenty seven storey presales condominium high-rise tower. Located between Delta and Beta Avenues in Burnaby, all seven buildings in this exceptional community at Brentwood Gate are currently under construction, with the final presale opportunity remaining in The Harris, set for completion in 2009. Brentwood Gate in Burnaby is pread over four hectares on a lush hillside, and the seven residences in this tranquil community take their names from the famed Canadian painters knowns as the Group of Seven Painters in Canada. For example, the concrete, glass and brick accented tower – Fitzgerald at Brentwood Gate – represnts the last artist to join the group, while the first west-coast-style four storey building, Macdonald House at Brentwood Gate Burnaby, pays homage to its founding member. “Like the Group of Seven’s work, this real estate project was inspired by the natural beauty of the surrounding area,” explained Manuela Mirecki, vice-president of marketing. “In their spirit, we have tried to preserve as much of the existing greenery and mature trees as possible.” The natural setting of Burnaby’s Brentwood Gate is enhanced by adjacent permanent green space and tree retention area and residents will enjoy a strong sense of community thanks to an abundance of pedestrian-friendly walkways with decorative street lamps and covered sitting area. This proximity to nature does not come at the cost of convenience: Brentwood Gate represents a winning combination of natural surroundings and urban amenities. It is conveniently close to shopping, transportation, schools, and parks. Burnaby Brentwood Gate presales condos and townhomes are also close to Brentwood Mall, SkyTrain’s Millennium Line, Brentwood Town Centre Station and both just a three minute walk away. The Harris at Brentwood Gate homes, name after Ontario-born painter Lawren Harris, offer a variety of open concept floor plans, and are priced from $274,900. Like the other residential buildings, The Harris at Brentwood Gate features contemporary, west coast inspired architecture by award winning architect Robert Ciccozzi. Interiors have a host of elegant touches such as cushiony deep pile carpeting, cosy electric fireplaces, and porcelain tile flooring. Culinary enthusiasts will appreciate the creative, modern kitchen space, with stylish imported porcelain walnut and mahogany finishes, designer selected countertops and Whirlpool appliances. The master ensuites at the Harris at Brentwood Gate Burnaby have luxurious soaker tubs, with beautiful ceramic tile surrounds and walk-in chrome and glass showers with integrated shelves in the second bathroom. The Brentwood Gate presentation centre, which will be closing this spring to allow for the final phases of construction, is open from noon to 5pm daily except Fridays at the corner of Beta Avenue and Lougheed Highway. For more details, visit www.brentwoodgate.com or phone 604.205.7228. There are so many other real estate developments going on in one of the busiest and fastest growing municipalities in the Lower Mainland. Other notable property condominium presales Burnaby developments include Oakterra (www.oakterra.com), an urban low-rise and more intimate and boutique real estate property. Essence of urban living right at your footstep in Burnaby. Burnaby’s Oakterra. The intimate boutique residences. Discover the essence of urban living in this intimate boutique condominium home just steps from Royal Oak SkyTrain station. Here you’ll arrive to brilliant modern architecture that is both stylish and built with advanced rainscreen technology suited to the west-coast climate. This combination of contemporary sophistication and thoughtful practicality is also evident in the spacious light filled homes at Oakterra Burnaby. Impeccable design. Supremely convenient. Urban to the core. To contact Oakterra Burnaby pre-construction condos, please call 604.431.6033 or email info@oakterra.com. (www.silhouetteliving.com) is another one that is just in its final release. An Encore Presentation at Silhouette Burnaby pre-construction condos … Stunning. Sophisticated. Standout. Timeless elegant rises to new heights as Silhouette’s twin high-rise condo towers soar skywards at Lougheed Town Centre. Classically inspired, modern masterpieces of concrete and glass, Sihouette’s Burnaby condominiums name reflects how each tower’s profile is gracefully echoed by the other. Strong verticals rise into two crystalline lanterns and dramatically silhouette Burnaby’s highest residences against the city skyline. www.axisburnaby.com) Right now, the net GST is include din the prices of the Burnaby Axis condominiums that include Unit 603 facing NE at 810 sq ft and priced at $386,900 to unit 1404 facing East at 790 sq ft and $383,900. All of the pre-construction Burnaby real estate condominiums at Axis are two bedroom suites. Move in 2008, beat the Fall rush, buy now in Burnaby’s best price residential condo building. The featured unit at Axis Burnaby living condos is Unit 1004 with easterly views and is priced at only $367,900. Open daily 12-5pm at 7082 Kingsway across from Highgate Village Mall in Burnaby. The hottest condo market … Central Surrey .. This October… Concrete homes at CityPoint starting at $159,900. CityPoint Surrey will make condo history! CityPoint is a new pre-construction condominium development in Surrey by the Century Group, celebrating 50 years of quality and innovative real estate solutions. Blue chip developer Century Group, builder of innovative and superior quality residential communities for British Columbians for over 50 years, is proud to be in Central Surrey’s CityPoint that includes two rising concrete tower condo residences, spectacular views, right at Gateway SkyTrain station and contemporary living with designer interiors starting at a very affordable pricing schedule. Register now for Tower 1 at CityPoint at www.citypoint.ca or 604.580.4199. Updates on the Whalley CITYPOINT Condo Pre-Sales in Surrey BC are located here. The CityPoint lifestyle is all about convenience. You have vision. You know what you want in a home, and what you want in quality, location plus good looks. Introducing CityPoint, a condominium community that’s about to make a grand entry into Surrey Central, one of Surrey’s most vibrant and exciting new neighbourhoods. Written by Susan Boyce for the New Home Buyer’s Guide of Vancouver. Comprised of two towers, on 21 storeys, the other 25, CityPoint Surrey Central condos is situated at the crest of land meaning many of these residence homes will offer sweeping views of the Fraser River, mountains, and nearby parklands. The sister towers will be linked by a lush, green courtyard dotted with park benches and walkways at Surrey’s CityPoint condominium development – a great place to chill out with friends or to get a different perspective on the natural beauty of the West Coast. Of course, that’s on occasions when you might want to change from the views you can experience anytime from the comfort of a chaise lounge on your private balcony or patio – hey change is good at CityPoint condos in Surrey Central. Extending from the kitchens at CityPoint condos through out the entire main living area, LEED certified, engineered hardwood flooring is not only an environmentally friendly choice, but one that looks beautiful as well. And for the ultimate in comfort, when you hop out of bed, your tootsies will sink into plush, wool carpets. Fitness buffs at the Citypoint condominiums in Central Surrey can also toss out their expensive gym membership, because right on site there’s a full fitness facility. And after, how about meeting some of the neighbours for private showing of the latest blockbuster movie in the fireside media room at CityPoint? A Reputation for Excellence. Build by local developer, The Century Group, CityPoint offers the security of solid concrete construction and the know how of experience. CityPoint offers a broad selection of one and two bedroom condominium homes located at 108th Avenue and 134th Street in Surrey. The CityPoint Presentation Centre is located at 10213 King George Highway. Prices of the Surrey Central CityPoint residence condos start from just $159,900 with sales commencing this October. For more information about CityPoint Surrey and to priority register, please visit www.citypoint.ca. Floor plans are now online! On behalf of the CITYPOINT Surrey Condo Sales Team, we would like to wish you a Happy New Year! Market analysts are predicting another strong year for lower mainland real estate sales and favorable interest rates make for excellent market conditions. Expectations are for Central Surrey real estate to continue its growth as an affordable, real estate hotspot. With homes costing half that of homes in downtown Vancouver, there are many compelling reasons to purchase at CITYPOINT Condos! You can Travel by car, bus or SkyTrain. Get downtown door-to-door in 35 minutes or less. Whether you work in Central Surrey or attend school at SFU Central Surrey your commute is a measurement not by time but by footsteps. The Century Group is locally owned and family operated, recently celebrating their 50th Anniversary. They are one of most experienced and reputable real estate developers operating throughout the lower mainland providing a consistent, proven track record with exceptional attention to detail especially at CITYPOINT Condo residences. CITYPOINT homes in Central Surrey come equipped with a gorgeous 7-piece appliance package. All kitchens and bathrooms are finished with quartz stone countertops and contemporary wide-plank engineered hardwood flooring throughout all living and dining areas. Blue Motion™ hardware incorporates self-closing technology in all cupboards, sliding drawers and hanging cabinets. Do your homework and dare to compare; when it comes to new, concrete construction, CITYPOINT Condominiums in Surrey offers the most competitive prices! Floor Plan Type Size Priced From $ Per Sq. Ft.
*Prices do not include GST and are subject to change without notice. E&OE. The Central CITYPOINT Presentation Centre is located at 10213 King George Hwy. in Surrey, situated in the Royal Bank Plaza (Click Here for Map). We are open from 12:00 Noon to 5:00 PM daily (except Fridays). For more information, please visit our website: www.citypoint.ca or call (604) 580-4199. Get Ready to Buy the Most Attractive Concrete Condos in Central City! Purchasing at CityPoint is as easy as 1 – 2 – 3 – 4! - We will not accept conditional offers on Launch Day. In the event that you intend to use mortgage financing to purchase your home at CityPoint you are advised to obtain a mortgage pre-approval in advance. Please contact Jason Chiang at TD Canada Trust Phone (604) 808-1122 Email: jason.chiang@td.com. - You are required to bring a Certified Cheque or Bank Draft in the amount of 10,000 made payable to “Macdonald Realty Ltd. In Trust”. There will be no exceptions. All decision makers MUST be present. - Bond Financing Available through St. Pauls Travelers OAC. - Please remember to also bring Photo Identification and your Social Insurance Number (SIN). - Stay tuned. On Thursday, October 4th a final email will be sent to you outlining the date, time and location of the CityPoint Priority Launch! Sales will commence on a first-come, first-serve basis. Each CityPoint Buyer will be limited to two suites in an effort to provide equal purchasing opportunities for all buyers. You have patiently waited and the time has come to unveil the CITYPOINT Surrey Central development! This Pre-Registration offering takes place well in advance of our scheduled Public Opening, giving you the best floor plan and suite selection. Without question, this offering is your greatest chance to buy Central Surrey’s Most Affordable New Concrete Development! On behalf of the CITYPOINT Sales Team, we would like to thank and congratulate all of our clients who purchased homes this past weekend. We are pleased to report that the Developer’s Initial Release of pre-construction Surrey condos was a TOTAL SUCCESS! And for those who were unable to attend on such short notice, there is no need for concern as we are preparing to launch our Central Surrey CityPoint Condos Second Release very soon. A convenient location: Just footsteps to the Gateway SkyTrain Station and minutes to Central City Mall, SFU and downtown Surrey. With CityPoint Surrey presales studio suites priced from $159,900 and 1 bedroom homes from $199,900 CITYPOINT offers Central Surrey’s Best Price and Value. Dare to compare! Whether a first time home buyer or experienced real estate investor do your homework and check us out. Surrounded by green space, recreation and situated within an established residential setting, the CITYPOINT highrise condominium towers will contribute to Surrey’s model for long-term growth and sustainability. Take pride and peace of mind in the Century Group, a dynamic “Blue Chip” development team with over 50 years of experience and proven quality. Ask for them by name because they DELIVER. We are putting the finishing touches on our two beautiful display suites, the latest utilizing SmartPLAN™ Technology. Every CityPoint Central Surrey condo square inch has been meticulously analyzed to maximize space and livability. The Citypoint Surrey Condo Developer reserved an excellent selection of suites destined to sell for our Second Release. As a pre-registrant, you will be the first to be informed about this event. Stay tuned as the first 100 City Point Surrey homebuyers will receive special privileges. In the meantime, we suggest that you study our floor plans and have your top 3 choices ready as our homes won’t last long! You’re going to enjoy living here. This is your golden opportunity to purchase at CITYPOINT Central Surrey. The Developer has reserved an excellent selection of suites in Tower One to be released only to CITYPOINT Pre-Registrants this Saturday, October 20th. CITYPOINT is Central Surrey’s most exciting and BEST priced highrise development. Developed by the Century Group and built by renowned ITC Construction – take pride and peace of mind that CITYPOINT will be delivered. With over 50 years of development experience, a proven track record and a reputation for excellence, the Century Group is committed to building and being the best. This early invitation to purchase has been extended exclusively to CITYPOINT Pre-Registrants. Central Surrey’s best priced 1 bedroom homes from $199,900. Our fabulous Presentation Centre is now complete boasting two-full display suites, high-end kitchen appliances and luxurious fixtures and finishings. You won’t want to miss this chance to own at Surrey’s CITYPOINT! 1. Choose a few different floor plans and suites in the event that your first selection is not available. To view floor plans online visit: http://citypoint.ca/download/CP_insert.pdf. 2. Bring your cheque book. The initial deposit required on Saturday is $10,000.00. 3. Arrive early. The first 100 purchasers will have Special Privileges. Please be advised that conditional offers will not be accepted during Saturday’s event. Sales will commence on a first-come, first-serve basis. Due to the Central Surrey City Point Pre-Registration volume, we anticipate a lineup and we have added additional sales support to process clients more efficiently. We thank you in advance for your cooperation and understanding. Last Saturday, Tower One at CITYPOINT was released to our Pre-Registrants with staggering results; Tower One is 95% SOLD! With sales exceeding expectations, the Developer has agreed to release CITYPOINT Tower Two ahead of schedule this coming Saturday, October 27th well in advance of our advertised Grand Opening. Don’t miss this opportunity to own at CITYPOINT. A convenient location: Just footsteps to the Gateway SkyTrain Station and minutes to Central City Mall, SFU and downtown Surrey. With 1 bedroom homes priced from $209,900* CITYPOINT offers Central Surrey’s Best Price and Value. Dare to compare! Whether a first time home buyer or experienced investor do your homework and check us out. Take pride and peace of mind in the Century Group, a dynamic “Blue Chip” Development team with over 50 years of experience and proven quality. Ask for them by name because they DELIVER. The CITYPOINT Presentation Centre contains two-full stunning display suites both exemplifying the latest in SmartPLAN™ Technology. Every square inch has been scrutinized to maximize space efficiency and liveability. About: The affordable residences, City Point Surrey Central 1 bedroom homes are priced from $211,900 and 2 bedroom homes from $325,900. Dare to compare and you’ll find that CITYPOINT is Central Surrey’s best priced, new concrete high rise development. About: The proximity to major city centres like Vancouver, Burnaby and Coquitlam via SkyTrain, which will bring you to downtown Vancouver in 35 minutes. Beat the rush and leave your car at home at CityPoint Central Surrey! About: The CITYPOINT Presentation Centre, which features TWO FULL display suites. Standard features include: quartz stone countertops in all kitchens and bathrooms, engineered hardwood flooring, stainless steel kitchen appliances, self-closing drawers and cupboard doors; live in absolute luxury! About: The Developer Century Group; over 50 years of development experience in the lower mainland. For decades, the Century Group has been synonymous with quality, innovation and home owners take pride and piece of mind knowing that Century delivers on time. CITYPOINT Condos in Central Surrey has received a tremendous response to-date. We invite you to attend our Public Grand Opening this Saturday to find out why. You’re going to enjoy living here. Where: CITYPOINT Presentation Centre: 10213 King George Hwy. Time: Doors open at 12:00 Noon. BREAKING NEWS: South Burnaby MacPherson Walk - New Townhouse Display Open This Weekend! New Burnaby MacPherson Walk Townhouse Display Home Open Saturday & Sunday! Thank you for your interest in MacPherson Walk South Burnaby real estate development! Our new MacPherson Walk Townhouse Display Suite will be open this Saturday and Sunday from 12-5PM near the corner of Buller Avenue on Irmin Street. You do not want to miss your opportunity to own a home at MACPHERSON WALK WEST. To get the best selection in this South Burnaby real estate development it is important that you visit us this weekend. We have the following homes available: 1 Bedrooms from $259,900, 2 Bedrooms from $334,900 and also 3 bedroom MacPherson Walk New Burnaby Townhomes from $559,900. Come find out why the Vancouver Sun calls MACPHERSON WALK Burnaby real estate development "a dream come true" and why home buyers are saying they were sold by "outstanding design...efficient floorplans, 3.5 acres of green-space and excellent quality throughout", or visit our website at www.macphersonwalk.com to view our floorplans. Hurry, we are already over 90% sold and can't wait to tell you about our exclusive SUMMER PROMOTION. Yours Truly, Constance, Sales Manager. The South Burnaby MacPherson Walk Sales Team at T. 604.456.8883 or F. 604.431.5139 or E. info@macphersonwalk.com. www.macphersonwalk.com. Sutton Group West Coast Realty at TH #14 - 5883 Irmin Street, South Burnaby, BC V5J 0C5. Open Weekends Noon - 5PM, or by Appointment. The MacPherson Walk West new Burnaby Townhouse project is a lifestyle South Burnaby real estate development concept by Hungerford Group. For the first time, MacPherson Walk Burnaby real estate for sale is excited to offer you $5,000 cash back* in addition to our Free Upgrade Package worth over $20,000 for the purchase of a new Burnaby condo for sale. But hurry - only a handful of presale Macpherson Walk Burnaby homes are available and it is only for our first 10 home buyers! These are some sample price reductions on these truly fabulous deals for new Burnaby homes for sale that include: 2 Bedroom, 2 Bathroom Macpherson Walk Burnaby condo for sale at 782 -893 SF priced from $334,900 with cash back of $5,000. Some of the features of these new Burnaby condos for sale include hardwood laminate flooring, Kitchen Aid appliances and Mega Storage Locker. In addition, if you are in the market for a Macpherson Walk Burnaby townhome, there are 3 + Den Townhouse for sale that are featured between 1291-1355 SF priced from $559,900 with a great cash back incentive of $5,000 and featuring Hardwood laminate flooring, Kitchen Aid appliances as well as in-suite Storage. The Macpherson Walk Burnaby condos and townhomes for sale are featured online as are floorplans and details can be found at www.macphersonwalk.com, or by visiting our Sales Office at Townhouse #14 - 5883 Irmin Street. The New Hours for the Burnaby real estate development at Macpherson Walk Condos and Townhomes for the next two weeks, we are open daily from 12-5PM, except Fridays. We recommend that you come in this Wednesday or Thursday before the public knows about this Macpherson Walk Burnaby Condo Buyer Special Promotion. Remember, MacPherson Walk Offers Each Burnaby Homeowner: Quiet South Burnaby real estate neighbourhood, 3.5 acres of green space and amenities on site, and 7 minute walk from Royal Oak Skytrain. In addition, the master planned Macpherson Walk Burnaby real estate development provides a full range of onsite amenities: fitness room, fireside lounge, party kitchen, BBQ patio and guest suite in addition to Shopping and restaurants nearby. Call now to reserve your home and be one of the next 10 to receive this VIP Macpherson Walk Burnaby Real Estate Special Promotion. We look forward to seeing you again soon! Yours Truly, Wenda and Constance. *$5,000 Cash back at the new Burnaby condos for sale are to be credited on the Statement of Adjustments at the time of Completion. Valid from Sept 3, 2009 onwards for a limited time only. Brought to you by Appia Development, Motif at Citi is a thirty storey residential tower with five townhomes plus an office tower with ground floor retail and a thoughtfully designed central piazza of gardens and walkways. Part of the new Citi complex at Lougheed and Rosser in North Burnaby Motif at Citi master planned community is only steps away from the SkyTrain, great shopping and some of Vancouver’s most popular restaurants. Spacious and sophisticated, these designer homes at Motif at Citi Burnaby feature floor to ceiling views, livable floor plans and sleek finishing detail. Priority register today to be one of the first to experience the Motif at Citi living in Burnaby. For more info please call 604.294.2742 or visit www.motifatciti.com. Keep you eye on the Adera website at www.adera.com because priority registration is about to begin for Burnaby Green Apartment homes. A collection of one bedroom, one plus den, two bedroom and two plus den terraced garden apartments in Burnaby’s Edmonds neighbourhood. Only minutes from the SkyTrain, shopping and the Riverway Golf course, this will be a BuiltGreen community to create lasting benefits for new owners and the community at large through energy efficiency and sustainable practises. Burnaby's Green Residences is now open for previews! Thank you for your interest in Green Adera's newest community in Burnaby. Terraced garden apartments and Townhomes nestled next to parks and walking trails. Five minutes walk to Edmonds skytrain station, three minutes to the brand new Marine Way shopping plaza and the Riverway Golf course. Designed to BuiltGreen™ Gold construction standards, this exciting new project will have lasting benefits for new owners and the community at large for energy efficiency and sustainable practices. BuiltGreen™ is the Healthy home alternative to standard construction. Our Green Condominium Presentation Centre is open for preveiws! If you have not already please come and visit us here at 5589 Byrne Dr. we are open everyday between 12 and 5pm. For directions please call us at 604.439.8858. Here I can can help you invision living in this unique community with a full scale show home and model of the community. Thanks again for your interest in Green Condos. If you have any questions please do not hesitate to contact me, I look forward to meeting you. UPDATE: GREEN's Second Building Coming Soon! Earlier this month at the Canadian Homebuilders Association Georgie Awards, Adera was presented with its 4th Georgie for Best Builder in BC and the 1st Ever Gold Georgie for a new category- Customer Choice. Adera is an industry leader in sustainable building and creating homes that enhance and nurture their natural locations. In the upcoming weeks, Adera will be releasing GREEN's Second Building! Adera's commitment to sustainable building, in combination with Adera Burnaby GREEN's quiet natural forest setting has generated a phenomenal amount of interest and as a result, the First GREEN Building sold out in just one day. The excitement and demand for Building Two is even higher and as a presales Burnaby GREEN Priority Registrant you have put yourself in the best position to be one of the first to purchase in the Second Building before we open to the general public. Don't miss your chance to own your dream home at GREEN. Visit the GREEN Presentation Centre today to speak with a GREEN New Home Consultant to start the process of selecting your home in Building Two! A full-time Concierge Service. Exclusive access to the Seasons Club - Burnaby presales real estate GREEN's private amenities inclusive of a games room, library, entertainment lounge, gym with infrared sauna and large outdoor patio. A membership to the Co-operative Auto Network which includes 6 on-site vehicles and access to the entire 200-car co-op fleet. The protection of the 2-5-10 New Home Construction Warranty by Lombard General insurance Company of Canada. Visit GREEN Burnaby pre-sales presentation centre today to view the model and designer display suite and learn more about GREEN's commitment to sustainability. Burnbay's GREEN Condo Building Two's VIP Release this Weekend! If you haven't had the opportunity to book your VIP appointment to purchase at GREEN'S SECOND BUILDING, I encourage you to do so before the home of your dreams is gone. Burnaby GREEN'S official VIP Release is scheduled for Saturday, March 15th between 12 noon and 5pm. Come visit the GREEN Presentation Centre to enjoy the complementary specialty coffee service and select the home you want at GREEN. Due to the high level of interest in GREEN's Second Building, I recommend you contact me as soon as possible to book an appointment. Don't miss out on this exclusive opportunity to own a home at GREEN before we open to the general public. Call Melanie Briggs at 604.505.3404 OR Simply reply to this email (green@adera.com ) to request an appointment and I will contact you to schedule an appointment time. The countdown is on - you have just two days left! Contact me today to book your priority appointment. Urban living in a beautiful park like setting just steps away from the Royal Oak Station. Coming soon is the MacPherson Walk condominium homes and townhouses and you can now priority register by calling 604.456.8883 or visiting the website at www.macphersonwalk.com. A unique opportunity. The freedom of your own home. The promise of a unique community. The prospect of a central location with every conceivable amenity nearby. Burnaby’s Macpherson Walk is the address for everything you value today. And all you plan for tomorrow. Taken from the MacPherson Walk Burnaby web site. In keeping with their vision of creating a lifestyle development concept, the Hungerford Group has attracted some of the most impressive names in the real estate industry. From award winning architects to interior designers to the innovate green space designers, MacPherson Walk is destined to become a legacy in South Burnaby. Over 100 MacPherson Walk Homes Sold! MacPherson Walk has continued to have tremendous success since the Grand Opening on October 13. With over 100 homes sold, MacPherson Walk has proven to be South Burnaby's most desirable residential community! MacPherson Walk still has a wide selection of condominiums and townhomes remaining. Choose from 1, 2 and 3 bedroom condominium suites and 3 bedroom townhomes, nestled in over 3.5 private acres of beautifully landscaped gardens and trails on site. Visit us at the MacPherson Walk Presentation Centre to view our full display suite complete with the Gold Standard finishing package. The Gold Standard package is included in every home and features granite and marble countertops, stainless steel appliances, washer and dryer, hand-set porcelain tile flooring, and fiber-optic communications network. As the end of the year draws near, so does 2007 pricing. Our spacious 1 bedroom homes start at only $254,000 and come complete with our Gold Standard finishings. Visit us today and take advantage of the 2007 prices! On behalf of the Hungerford Group, we would like to wish you and your family a wonderful holiday season. As a courtesy to our MacPherson Walk Burnaby sales team, our presentation centre will be closed from December 20th 2007 and reopening on January 2nd 2008. For your convenience, MacPherson Walk will be available for viewing by appointment during this time - call 604-456-8883 for scheduling. Recognized as South Burnaby ’s most desirable new residential community, we encourage you to visit our presentation centre as there is a great selection of two and three-bedroom condominiums and three-bedroom townhomes available. MacPherson Walk is set in a tranquil MacPherson Walk Burnaby neighbourhood close to established schools, public transportation, shopping amenities, and community centres - perfect for families and couples. Two-bedrooms start from $340,000 and come complete with our Gold Standard Finishing Package. Begin your new year with a new home in mind. Doors will open on January 2nd to preview the release of 86 new condominiums and townhomes including junior, 1, 2, and 3-bedroom condominiums and 3-bedroom townhomes. We encourage you to bring your friends or family to share this excitement that’s just around the corner. MACPHERSON WALK WEST VIP SALES EVENT STARTS SAT. FEB 2 12:00 SHARP! South Burnaby's most desirable residential community. Due to the incredible success of MacPherson Walk East, and over 130 homes sold, we are now beginning the sales event for South Burnaby MACPHERSON WALK WEST. Come find out why the Vancouver Sun calls it "a dream come true" and why home buyers are are saying they were sold by "outstanding design....efficient floorplans, expansive greenspace and quality throughout." - Stainless Steel Microwave Hood Fan......included! - Stainless Steel Gas Stove......included! - Stacking Washer & Dryer......included! Because you are one of our priority registrants we wanted you to have one of the First Opportunities to choose your new home prior to the grand opening to the general public. The height of living. Available Fall 2007. Mediterranean inspired architecture in Burnaby’s desireable “The Heights” neighbourhood. Tramonto Burnaby offers 42 select residences up to 1,200 square feet with south facing garden patios or spectacular mountain views. Tramonto’s ground level shops and services combine with all the delights of this sought after neighbourhood to create a unique new community. The Burnaby Tramonto apartment residences are located at 4365 Hastings Street in Burnaby, BC. For over thirty years, Boffo Construction has been aleader in the construction and development industry, earning an enviable reputation for creating award-winning communities of lasting value and Tramonto is no different. For additional info about Tramonto residence condos, please visit www.tramonto.ca. A community with it all. Coming soon. Montage by Polygon, a limited collection of contemporary two bedroom apartment homes in North Burnaby. Experience the fresh, energetic vibe of a new community just steps from Brentwood Town Centre and the Millennium SkyTrain. Enjoy nearby parks, tennis courts, golf courses, libraries, schools, trails and much more at Montage Condos. A community with it all. To pre-register for Montage, call 604.871.4194 or visit www.polyhomes.com. Thank you for registering your interest in a home at LUXE, another original from Qualex–Landmark Group of Companies. We appreciate the information you have chosen to provide, and respect its confidentiality. By registering today, you have put yourself in a very good position to be able to purchase a home at LUXE Condominiums, prior to the general public. LUXE Condos is located in the desirable and central Brentwood area of North Burnaby. The virtues of this location are plentiful – proximity to work, play, services, shopping, sky train, transportation routes, and views. Even so, it’s been years since a residential high-rise of this unique stature has been built in this area. Tower One at LUXE Condos is a 25-storey structure with 132 generously proportioned and beautifully appointed homes. Currently, the LUXE Condoteam is busy preparing for our grand opening in the Spring of 2008. As a priority registrant, you will have the opportunity to speak with a LUXE representative, and be provided with the latest information. And when it is ready, you will be able to tour the discovery centre prior to the general public opening. We at Qualex-Landmark appreciate the information you have provided. In return, you will receive as much relevant information as you need to help make an informed purchase decision. Soon, you will receive a call from a LUXE representative to help answer some of your questions. We look forward to the opportunity tell you more about LUXE Condos. The Luxe is a brighter way of living in Burnaby. Highlighted by luxuriously appointed homes with generous outdoor spaces and exclusive membership in Club Luxe, this marks the beginning of a new age of enlightenment as indicated on the Burnaby Live at Luxe web site. Thank you for registering with Luxe Condos, Qualex-Landmark’s newest Burnaby high rise condominium development. Qualex-Landmark Luxe Burnaby real estate has an ongoing commitment to building better homes. To help us plan and design the best possible communities, we need to know what type of real estate development, Burnaby homes and facilities best meet the needs of new home buyers. This information can only come from potential homebuyers such as you. Your views and opinions, if you would share them with us, are very important to meeting our commitment. In the next few days we will e-mail you a questionnaire designed to give us a better understanding of your views, opinions and preferences in Burnaby condominium living. We would greatly appreciate your taking some time to complete and return this questionnaire to us. We know that we cannot adequately compensate you for your help but as a token of our appreciation for returning your completed questionnaire, you will be eligible to win one of 5 $250 cash prizes. One Luxe Condo Burnaby winner will be drawn from returned questionnaires each month for the next 5 months, so the sooner you return your completed questionnaire, the more chances you have of winning. Please be assured that all information and opinions provided by you will remain strictly confidential. We at Qualex-Landmark thank you in advance for your assistance. In this, the third in our series of online email previews, you will get a sense of arrival at your new home at LUXE Condos in Burnaby real estate market. And, you will be able to see the extensive outdoor amenities that are planned. LUXE Condo Pre-construction residences truly is an extraordinary home ownership opportunity in the Brentwood area of Burnaby. It’s an opportunity that will add considerably to the fabric of this well-established community in the Burnaby real estate neighbourhood. And, LUXE will be an unprecedented early property pre-sales purchase opportunity to own in an area that will undergo dramatic transformation over the next short while. That means that you will be able to watch your Burnaby real estate investment grow as the community grows up around LUXE. But, at the same time, LUXE Condominium high-rise tower residences has been so comprehensively imagined that it will not be dependent on future Burnaby real estate development to be an enriched living experience. LUXE Condos is almost a community unto itself with over 45,000 square feet of shared outdoor amenities, its own car wash and a full three levels of indoor amenities that include a gym, yoga area, lounge, spa-like men’s and women’s change rooms with his and her steam and sauna, multimedia room and 24-hour concierge. Our commitment to enlightened living continues with this series of online email previews. As more information becomes clear, we will be continually updating our LUXE Living Condo website, so we encourage you to visit us at www.liveatluxe.com often to help you make an informed purchase decision. As an early registrant you will have the opportunity to preview these installments in advance of the general public. This is your best opportunity to get in early and have the best selection of these extraordinary homes. Thanks for your interest in LUXE, another original from Qualex-Landmark. 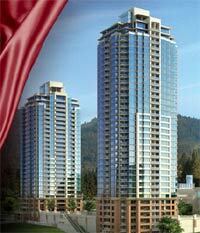 By now, we expect that you are keen to see inside LUXE Condominium Burnaby real estate presales. And, that is what this next video installment is about – the interiors of the shared areas within. We can’t really call them new LUXE Condo ‘common areas’ – as is the accepted practice – because there’s really nothing common about them. Designed by the Design Agency (formerly TV’s Precipice Studios) the 7000 square feet of amenities at LUXE Burnaby real estate pre-construction property can best be described as comprehensive and include a fully equipped health facility with a gym, dedicated yoga area, and his and her spa-like change rooms with saunas and steam rooms. There is also a multi-media screening room with the latest gaming consoles, an expansive lounge complete with wet bar area, pool table, foosball and a stunning indoor/outdoor fireplace. A brilliant LUXE Living condo water feature bridges between the indoor spaces and the outdoor spaces and culminates in an attractive two storey feature waterfall in the tree lined auto court area. External Burnaby new condos at LUXE apartment amenities are just as impressive with approximately 43,500 square feet of communal green space that features a Zen garden, putting green, jogging path, children’s play area, picnic areas, gazebos, water feature, indoor/outdoor fireplace and barbecue facilities. Add to that a LUXE Condo members only car wash, 24 hour concierge service, arrivals lounge, and a meeting room, and you will have to agree that amenities at LUXE rival and even exceed those of many exclusive, private clubs and resorts. Really, it’s like gaining membership to an exclusive club. Club Luxe, that is. LUXE is an extraordinary home ownership opportunity in the Brentwood Park area of Burnaby real estate presales and would be the beacon of any community. Because you are an early registrant you will have an opportunity to purchase a new Burnaby home at LUXE Condos in advance of the general public. This remains your best opportunity to get in early and have the best selection of these extraordinary homes. Thanks again for your interest in LUXE, another original from Qualex-Landmark. At this point, you have seen our video installments about the Brentwood Burnaby neighbourhood, the architecture, and the amenities of LUXE Condo Living. And, we think that you’ll agree, it really is an enlightened way of living in the Brentwood area of Burnaby real estate. But, we are also sure that you are keen to see what the pre-construction homes at LUXE Condominium Residences will be like. And that is what this next video installment is all about – the homes.The presale Burnaby homes at LUXE preconstruction condos will offer your choice of two distinctive colour palettes and will include exceptional LUXE Condo living features such as: engineered hardwood floors, oversized soaker tubs, frameless glass shower enclosures, stone kitchen counters, stone and custom under-lit resin bathroom counters and gourmet stainless steel appliance packages featuring Fisher&Paykel gas cook top, Fisher&Paykel convection wall oven, Fisher&Paykel refrigerator and a Blomberg stainless steel tub dishwasher to name just a few. An update on the latest high-rise condo pre-sales Burnaby tower that has been garnering great responses from new home-buyers, downsizers and investors in the Burnaby real estate market. Published in the West Coast New Home Buyer Magazine and written by S. Boyce, this twin condominium highrise towers are now almost all sold out. The Luxe Condos in Burnaby are on the leading edge of quality and design. The VIP website with floor plans, virtual tours, and other information will be launched shortly. The pre-construction Burnaby real estate condos at Luxe residences will be found at Springer and Douglas, south of Lougheed Highway in the popular Brentwood Burnaby neighbourhood that is being built up, densified and becoming a lot more liveable. The first pre-sales Burnaby Luxe condo tower will offer 132 urban condominium pre-construction homes including two guest suites and five spacious Luxe townhomes. The floor plans for the Luxe condominium residences in the Burnaby property market will include studios to two bedroom and den suites around 1,085 square feet of interior living space. Advance viewing of Luxe condo’s VIP website commences in July but only for people who have priority registerd on their web site at www.liveatluxe.com. Or you can call their sales team at 604.453.LUXE for more information and the Burnaby condo project launches to the public at the end of July 2008. Some of the standard features at the pre-construction Luxe Burnaby condo suites include: seven inch plank wood flooring, marble counters in the ensuites, quart counters, stainless steel chimney hood fan to match the full appliance package of Blomberg dishwasher plus Fisher Paykel cooktop, oven and fridge in the kitchen in addition to colour resin counters in the second bathrooms, soaker tubs, high gloss and matte finish tiling and custom barque-style tile backsplashes int eh kitchen. Modern and contemporary finishing detail is what the pre-construction Luxe condos in Burnaby can provide any home buyer. The results are magical. Some of the great amenities at Luxe condo towers include the Club Luxe which is over seven thousand square feet of amenities on three levels including a comprehensive gym, multi-media games room with the latest gaming console, steam rooms, sauna, exclusive lounge, boardroom and a two storey outdoor waterfall. 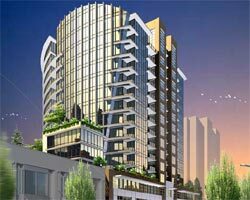 Englightened pre-construction Burnaby condo living is available now at Luxe condominium towers. The pursuit of perfection is the pursuit of sweetness and light – Matthew Arnold. Burnaby LUXE Condos VIP Registrants - Early Presale Condominium Purchase Opportunity with Appointments Recommencing on September 6th! First 25 LUXE VIP Deals – 4% Early Purchaser Incentive. We’d like to thank you for registering your interest in LUXE Burnaby real estate development of new Burnaby condos, Qualex-Landmark’s newest residential project for the Metro Vancouver area. We are pleased to announce the recommencement of our Private VIP Appointments for the new Burnaby condominium property. Due to the Superintendent of Real Estate’s new policy which requires that a fourth reading of the rezoning bylaw be held in order to constitute final approval, we were required to postpone the remainder of our VIP Appointments in mid July. This occurred just as we were achieving extraordinary LUXE Condo pre-sales success with 40 sales having resulted from the first group of 43 appointments. We have now complied with the new requirements, and as such, will be recommencing our new Burnaby condos Private Appointments starting September 6th, 2008. Qualex-Landmark LUXE Condo Tower in Burnaby real estate is located in the desirable and central Brentwood Park area of North Burnaby. The virtues of this location are plentiful – proximity to work, play, services, shopping, sky train, transportation routes, and views. The North Burnaby LUXE Condominium community promises to be a landmark pre-construction Burnaby residence in the tradition of our downtown Vancouver developments; Pomaria, Domus, Alda and Crandall by Qualex-Landmark Developers. Your early registration and the things you told us about yourself, your interests, and the kind of home you are looking for have helped us design a home to better meet your expectations. As a partner in our design process, we have shared our vision of Brentwood Park LUXE Burnaby new condos with you along the way. But now the time has come to turn this vision into reality! The interest in the pre-constructoin LUXE tower residences by Qualex-Landmark Developments has been strong, and we are anticipating continued brisk sales upon recommencement of our appointment process. That means that now is the time for you to act if you want to be able to secure the home of your choice. In addition, and more importantly, VIP appointments for the new Burnaby condo sles at LUXE Qualex-Landmark will recommence at our new 5000 square foot LUXE Discovery Centre on September 6th. Viewing will be by appointment only. You will receive a dedicated one hour appointment to tour the fully furnished 1085 square foot display home and review and select the pre-construction North Burnaby condo home(s) you are interested in with our LUXE Sales Team. Contact the LUXE Sales Team September 2nd to book your appointment. All appointments will be based on a first come first served basis and all viewings of the Discovery Centre must be by way of a scheduled appointment. Please note that due to the extraordinary demand for LUXE Tower Residences, drop-ins cannot be accommodated. A 4% Early Brentwood Park LUXE VIP Registrant Incentive off the initial prices will be offered on the first 25 VIP Registrant purchases only. Prices* (excl. GST) starting from: Studios at $235,900, One Bedrooms at $284,900, One Bedroom & Den at $309,900, Two Bedroom at $382,900, Two Bedroom & Den at $543,900 and Luxe Burnaby Cityhomes at $549,900. Deposit requirements are 10% on the first home and 15% on subsequent homes. Purchasers may be eligible for a 5% only deposit if they are either approved for 95% CMHC financing or the Traveler’s Equity Edge Bond for the pre-purchase of a new preconstruction Burnaby LUXE condo home in Brentwood Park community. Please note that Qualex-Landmark will not allow reservations or holds on any homes. As mentioned above: to express your interest in scheduling an appointment and to answer any early questions you may have, please contact the North Burnaby LUXE Sales Team at info@liveatluxe.com or (604) 453-5893. The new North Burnaby LUXE Discovery Centre is located at the corner of Holdom and Lougheed in Burnaby in Brentwood Park, right across the street from the Holdom Sky train Station. LUXE Discovery Centre at 5695 Lougheed Hwy, Burnaby, BC V5B 2Z7. Thanks again for your interest in LUXE, another original from Qualex-Landmark Brentwood Park LuXE condos in North Burnaby. Kind regards, The LUXE Sales, Design and Development Team. *Prices are subject to change without notice. ** Due only on the purchase of a 2nd or subsequent home by the same buyer E.&O.E. V5B 2Z7. Thanks very much for your interest in LUXE new Burnaby presale condos, another original from Qualex-Landmark. Best regards, The LUXE Sales Team. Interiors of the LUXE Burnaby suites will dazzle any home buyer. Inside the display suite, there are plenty more suprises waiting. Flooring is engineered hardwood in wide plank – elegant, urbane and easy on the feet. The main living area of the new Burnaby condos at LUXE living condominium presale has a terrific sense of volume – floor to ceiling windows, an open configuration and a balcony that easily handles a barbeque, tables and chairs, plus serving trolley with room to spare. But it’s the kitchen I find most immediately striking at the pre-construction LUXE Burnaby condo high-rise tower – an intriguing marriage of minimalism with visual drama. Counter and cabinets have a sleek, uncluttered look. Appliances are definitely top of the line – Blomberg dishwasher plus Fisher Paykel cooktop, oven and fridge. The hoodfan, a gleaming stainless steel tube capped with glass, is unlike any I’ve seen before, and is, in fact, custom made only for Luxe Burnaby condo living. The backsplash at this presale Burnaby real estate condo development, an avante guard pattern of black and metal, is so unexpectedly eye catching that I keep coming back to it during our tour. In the main bathroom, Jordon and I agree tha orange resin counters is truly something different and unique – a wonderful change from granite. We check out the ensuite at the pre-sale Burnaby condos at Luxe residences with its marble counters, soaker tub, and the shower’s feature wall in a random pattern of matte and high gloss black tile. Everywhere there’s a refinement and quality interspersed with charming hint of playfulness at the Luxe living Burnaby condos. No wonder they can call this enlightened living. The Burnaby real estate condo development at LUXE condominium high-rise tower will be found at Springer and Douglas (just south of Lougheed) in Burnaby real estate’s popular and centrally located Brentwood neighourhood. Luxe Condo tower 1 offers a total of 132 urban homes including two guest suites and five Burnaby Luxe townhomes. Homes range from studios to spacious two bedroom and dens with a luxurious 1,085 squrae feet of living space. Luxe living in Burnaby rela estate is currently open by appointment only. The public opening happens Septmeber 20th from noon to 6pm, and after that the discovery centre will be open noon to 6pm daily except Fridays at 5695 Lougheed Highway in Burnaby real estate. For more info, please visit www.liveatluxe.com or call 604.453.LUXE. According to the West Coast Homes and Design Magazine: Classic Meets Contemporary at the pre-construction Luxe Condominiums in Burnaby real estate market. A striking balance of modern and traditional can be tough but designer Kari Henshaw and her team at Insight Design achieve the perfect look at the display suite for the presale Luxe Condominiums in Burnaby. As Jodie mentions in her great editorial on this amazing condo display suite that you should definitely check out, designer Kari Henshaw and her team designed the presentation model suites for the Qualex Developments Burnaby Luxe condominium high-rise tower project. The two bedroom and den show home combines both traditional and contemporary design elements. Parts of the home at the Luxe display suite are truly modern and these include the granite, quartz, walnut veneer cabinetry in the kitchens as well as the stainless appliances. However, there are also those classic touches that define the presales Burnaby Luxe display suite that includes the European inspired backsplash in the kitchen which black and white mosaic patterns. Other features include European marble counters in the master ensuites in addition to balck and white wallpaper and the 70’s inspired light fixtures and other dressings in this presentation centre. If you would like to get the Luxe Burnaby condo display suite look, this is what you need. Living Spaces Minotti side tables in the master bedroom, Minotti coffe table in the living room, Ligne Roset bar stools at kitchen counter. Philippe Starck: Miss Lacy chair in Luxe display suite office. Inform: Poltrona Frau bed in guest bedroom. Bari: poker table and chairs and patio furniture. Bo Concept: dining room chairs. Upholstery Arts: sofa and Koolhaus: upholstered chairs and guest room side table lamps. The Millwork includes Omega - with some custom furniture, living room side table, master bedroom bed, dining room table. The lighting at the Burnaby presale display condo suite at the Luxe tower residences features Lightform – Vistossi Dining pendant, Master bedroom bedside table lamps.